ICYMI: There’s a fast-rising food hub in the North that people seem to can't stop talking about. 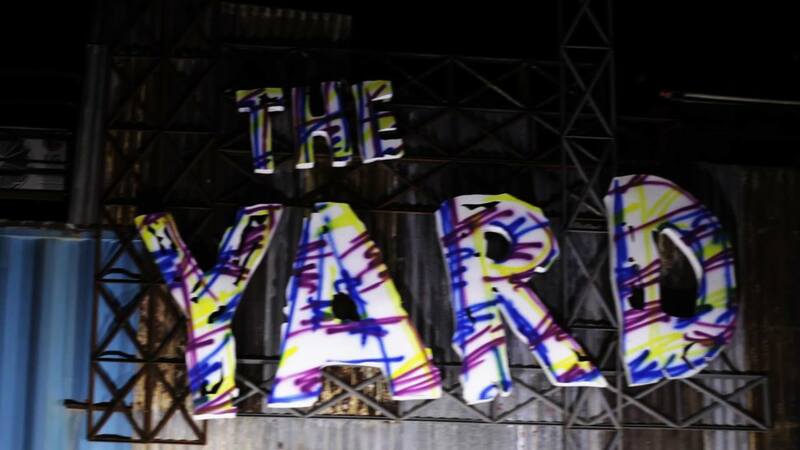 The Yard at Xavierville has already been featured numerous times on TV, print, and online media. And we are not surprised. With over 30 stalls offering different kinds of local and international hits—plus an ambiance that’s just so Instagram-worthy—no wonder, people all over the Metro are going food-crazy here. Opened last June 18, The Yard is definitely not your ordinary tambayan. 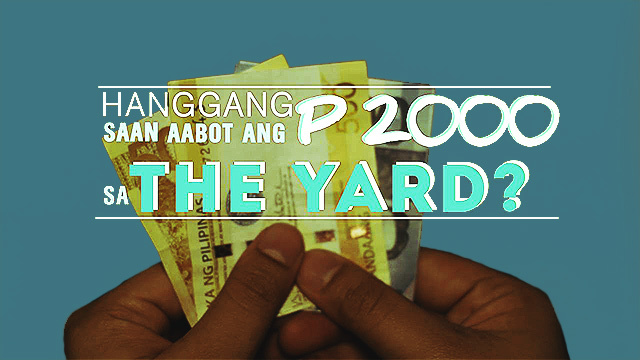 Owned by the Soriano siblings, headed by Hazel Soriano–Fariñas (of the famous Fariñas Ilocos Empanada), The Yard already has, in just two months, over a hundred thousand Facebook followers. Students from the neighboring universities discovered it first, and then a throng of North-based fans showed up. Not to be outdone, people from the South also check out what exactly the fuss is all about. Celebrities came and dined there, too. Even the ex-president of the republic, Noynoy Aquino, couldn’t resist the Yard’s charm. 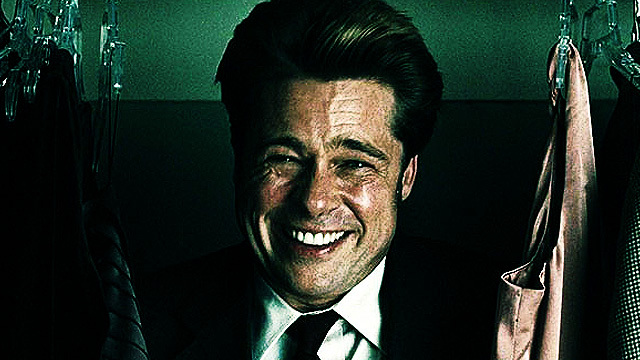 “He went here without a word. Akala naming kamukha lang niya tapos pagtitig namin, si President Noy pala!” Fariñas shared. Headed by chefs Manoj de Silva and Violet de Silva, Halal Kabab Express gives its customers authentic and affordable Persian street food. The Chelo Kabab Kubideh (beef kabab, grilled tomato, and rice) will surely satisfy your Persian cravings. Its generous serving is perfect for sharing, too. One bite, and you’ll feel that you’ve been transported to the colorful streets of Persia. Don’t forget the tangy garlic and the hot chili sauces which heighten the meat's taste. If you think just because this is unlimited that they’ll skimp on the shrimp, boy, you're wrong. Consider this irresistible breakdown—80 percent shrimp, 20 percent breading. This is a no-brainer. Cook you own Korean BBQ? Hell yeah! Grilling your own food is as fun as munching on it. We actually saw Koreans having the time of their lives just pigging out. Legit? Yes, we certainly believe so. Beer and sausage? Wakamojo, you got us. Our generous couple went gaga after one bite of meaty wonder topped with with creamy mashed potato, sautéed onions, bell peppers, jalapeños, and a side of sauerkraut. The sausage is bigger than the man’s fist that they have to share it. This is the very steak that the 15th President of the Philippines ordered, so we know it's an absolute can't-miss. This medium-rare pleaser is a worthy alternative to the expensive steaks offered in fancy restaurants. Slice it and you’ll see the reds, the browns, and the perfect grilled marks. Yum. Sweets for your sweet? This is it. Café Fratello’s best-sellers are not just photogenic, they're sinfully satisfying, too—seriously, even our not-so-sweet-toothed couple loved them. Each drink is flavorful: the coffee, cream, sugar, and everything else in between seem to have a blast partying inside the mouth. And they're very refreshing as well. Pulutan with a twist? You got it. TNT, popularly known as the Dynamite, is the perfect partner for that ice-cold cocktail. Ground beef, cheese, and chili, for only P60. You couldn’t have asked for a more compatible appetizer. One liter, two persons. Epicure certainly has the perfect chill drink to complement all the yummy eats you'll wolf down in a hurry. Each drink is oozing (and literally, smoking) with fruity flavors. There’s white rum, lime juice, mint leaves, and cherries for the Cherry Mojito; vodka, blue curacao, lemonade, and shark gummy for the Citrus Blue; and gin, green apple, and jello for the Green Apple Jello. A word of caution, though: They're so mouth-watering you may forget you’re actually drinking alcohol. We cap our satisfying foodtrip at The Yard with this inescapable creamy flavored iced shavings. We bet, your woman will devour this all by herself.